In this lively original tale with a gentle moral, a tale inspired by the ‘King of the Animals’ theme and by the ‘Tortoise trickster’ character, elements so popular in African fables, proud and vain Dume the Lion claims he is best suited to be King of the Forest. Though all the other animals live to regret proclaiming him their leader, they are afraid to object when he abuses his power. Only Kobe the Tortoise is clever enough to admit Dume is the king they need, and to find a way to make him as wise and good as he is fearsome and strong. At the foot of the baobab tree, creatures of the forest gathered to choose their king. Sleepy Kobe, the tortoise, was the last to arrive. There was shocked silence. Lazy, slow Kobe? King of the Forest?! 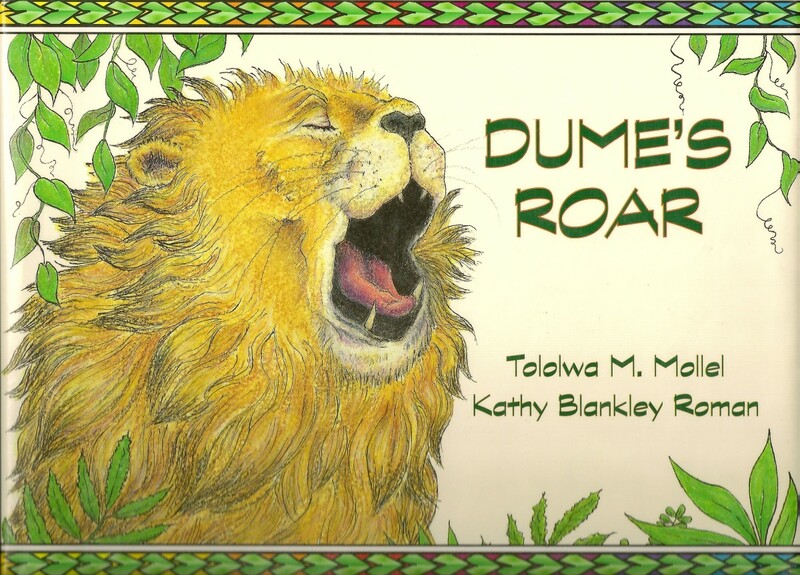 Everyone had a good laugh, except Dume the Lion. Begs to be read aloud. Canadian Children’s Book Centre Our Choice List of the year’s best books.